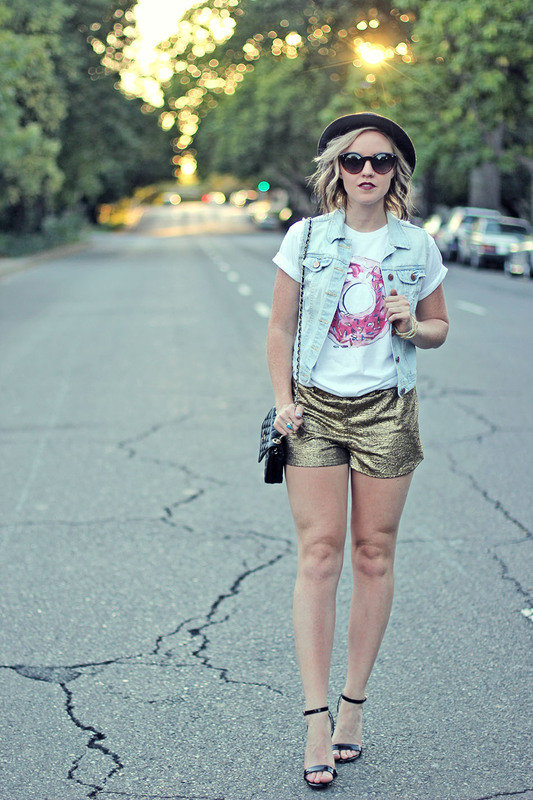 Metallic shorts were starting to become popular earlier this year, I knew it was a trend I had to add to my wardrobe. They just seem like the right item to wear when your outfit needs a little party like flare. I like the idea of wearing a super subtle or grungy look and adding a metallic pop. Another graphic trend I couldn’t pass on was the donut craze. I want all the posters, cards, blow up inner tubes, shirts and real life delicious donuts. If you’re looking to land yourself one of these extremely soft tees ($35), find it here. I think this look works in a strange way because the heels add class, cut off vest adds a tad of grunge, donut shirt brings some fun and the bowler hat nods to the past. I had to take a photo of my friend Kelsey’s chucks because our shoe choices were so drastically different. A big thanks to Kelsey for helping me shoot this post! 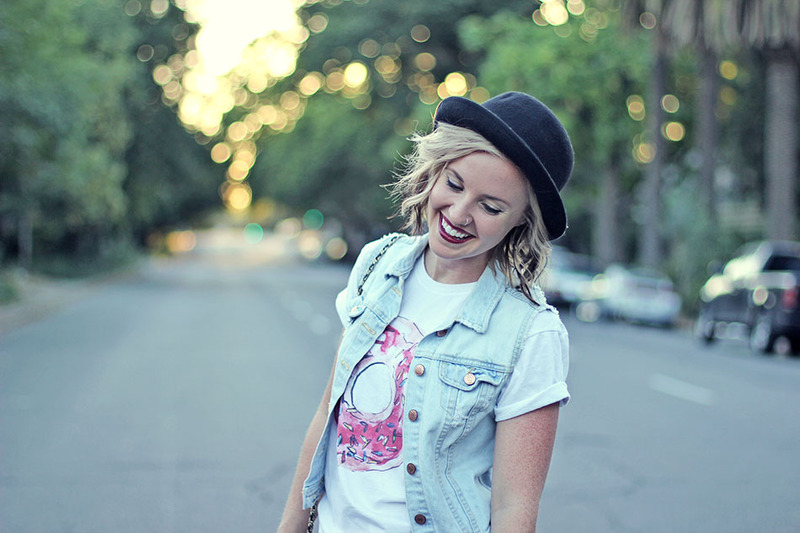 Check out her blog, Cloth and Lipstick, she just started it a few weeks ago! LOVE this look! Where did you get those amazing shorts?! Thank you! They’re from Urban Outfitters near Christmas time. Hopefully they still have a few!